La Nación (The Nation) is an Argentine daily newspaper founded on January 4, 1870. Yes, they are in the media business for 150 years! WoW! Currently, LA NACION represents a reference to innovation in social networks, building one of the most active social media communities in Argentina, reaching 3,593,803 Facebook friends and 454k followers on Instagram. They have one of the biggest daily newspaper circulations in Buenos Aires; the paper is also distributed nationwide and around the world. 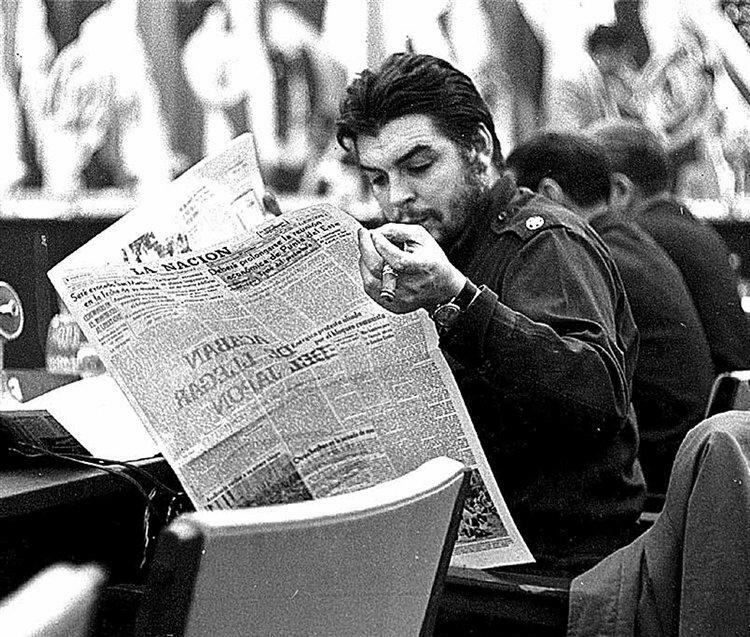 And in 1961, Che read LA NACION. They are that cool! Sametband: “LA NACION was born as a newspaper, but the world has changed in 150 years, so we have to find a way to engage new readers and build a digital audience; it is a tool to promote content, and to show it to people where the people are spending more time." We had the chance to talk with Ricardo Sametband from LA NACION, to understand how they continue to innovate and especially use the latest trends in social media to engage with their audience. What is most interesting that this 150-old newspaper is sophisticated in using Instagram and especially the Instagram Story format to tell stories and distribute them at the same time on their website. What type of content do you post in the Instagram Story format? “All kinds of content; links to articles, promotion of other material, stuff that is too small to turn into a news piece. Also, real-time reporting: it is very easy to build, to edit, etc." Have you used Instagram Stories to drive traffic to your website? How? “We use the “See more” to drive users to news articles in our website." "Instagram stories can be used as a full marketing funnel solution and not just for branding purposes!" 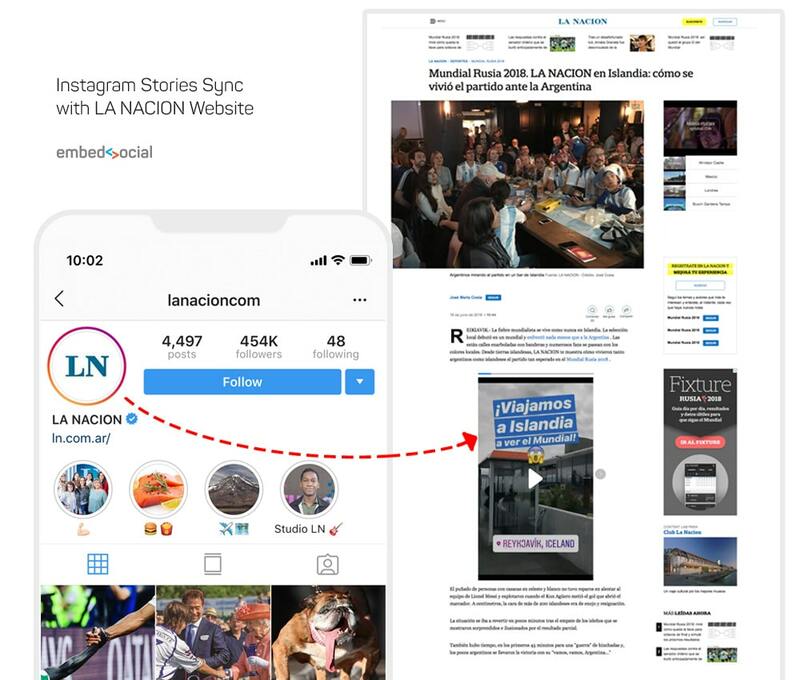 LA NACION uses EmbedStories to generate their Instagram stories in one single platform and create widgets that show the stories in their articles. How is your experience so far with EmbedStories? What are the main benefits to display the stories on your website beyond Instagram? We were doing live reporting on some occasions (big social meetings, rallies, marches, sports, public speeches, etc.) as a way to build audiences and connect with readers, but this also allows for that content (that visual way to tell a story, already formatted to be seen in a phone, the way the majority of our users read our articles) to add value to a regular article. I also mean that all that effort is not lost after 24 hs, and it means our reporters can use IG as another fast, easy way to tell a story that adds to the regular text+photo+graphic routine. Do you have a feature related to Instagram Stories, that will help you better achieve your goals? Our IG channel has a lot of diverse content. Being able to choose, in a 24 hs period, which stories to add to a specific widget, and which to leave out, would make work easier for us.